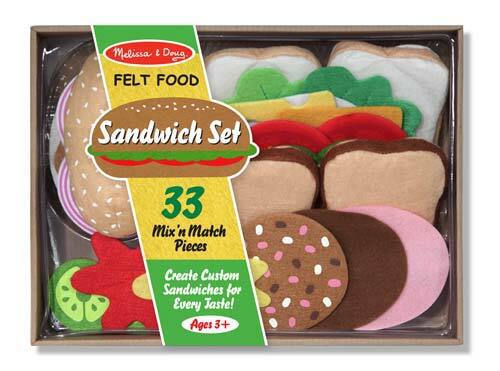 Open your own sandwich shop with this 33 piece smorgasbord of fabulous felt food pieces! Use white or wheat bread, or a pita pocket, then layer on the meats, cheeses, vegetables, condiments and more. Build a submarine, a grinder, a hoagie or a Dagwood sandwich! With dozens of sandwich stuffers included, we've got the ingredients for any special order!